At Kookaburra Plumbing our highly-trained and passionate team of plumbing experts have the right certifications to install hot water units and related components. 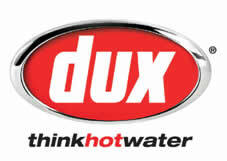 Placing the highest premium on safety we can promptly and seamlessly install the best hot water unit for you. An alternative to conventional gas hot water instantaneous gas units can produce approximately 24 litres a minute. 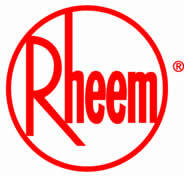 The Thermann range of hot water systems are available through exclusively through Reece, our main suppliers. Thermann is made by Dux and is Australian owned. Everhot offers a full choice of Solar, Heat Pump, Continuous Flow, Gas and Electric units for mains water applications. Everhot is exclusively sold at Reece, our main supplier and is made by Rheem with capacities to suit a range of family sizes and budgets. At Kookaburra Plumbing our skilled and professional team is passionate about providing our customers with a comprehensive, transparent, and affordable service. When you hire us for your domestic or commercial plumbing installation solutions you will be gaining direct access to our unmatched advice and guidance. For more information about the benefits of our hot water installation services Blacktown, Liverpool, Parramatta, Penrith, St Mary, and other Sydneysiders can contact us today.